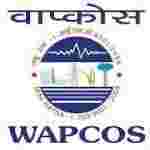 WAPCOS recruitment 2017 notification has been released on official website www.wapcos.gov.in for the recruitment of total 122 (one hundred and twenty two) jobs out of which 09 (nine) vacancies for Project Engineer, 113 (one hundred and thirteen) for Site Engineer vacancies. Job seekers should apply on or before 15th December 2017. Educational Qualification: BE/ B.Tech / Diploma in civil Engineering from a recognized University / Institute. Interested and eligible aspirants send their CV in the prescribed proforma to the G.Venkata Ramana, Project Manager, WAPCOS Limited 3rd Floor, Chakos Towers, Jews Street, (Near Padma Junction), Pullepady, Ernakulam, Kochi -682035 on or before 15.12.2017.